Several tries later, and without any luck, I remembered a solution that did the trick: fully rebooting my Kindle Keyboard. This trick also works on the DX and other models, even on Kindle Fire devices. Let me tell you how to do it. A short flick to the right will put the Kindle into Sleep Mode. This will switch from the home screen or the book to the screensaver with pictures. It’s very intuitive to do, and the mode most people use when they start reading or when they finish. Sleep Mode also starts automatically after about 10 minutes of idle time. In this mode, your Kindle can receive automatic downloads (provided the wireless connection is enabled of course). Hold that switch to the right for a little longer (about 5-10 seconds) and the Kindle shuts down. You can tell by the fact that the screen goes blank, without showing any pictures. In this mode, the Kindle is completely switched off, and no automatic background activity or network connections are happening. Flick that switch again and the Kindle reboots. I’d like to call this a “warm start”. Keep holding down that switch even longer (about 20-30 seconds) and your Kindle starts to fully reboot, partially resetting itself. I’d like to call this one a “cold start”. This will take a moment or two (up to several minutes in total, depending on the amount of books you have). First you’ll see a progress bar slowly filling up from left to right. Then you see the home screen of your Kindle appearing, already registered to your account, albeit not quite showing all your books yet. A moment or two later, as the Kindle reads the directory of the built-in flash memory, all your content should start appearing on the screen. 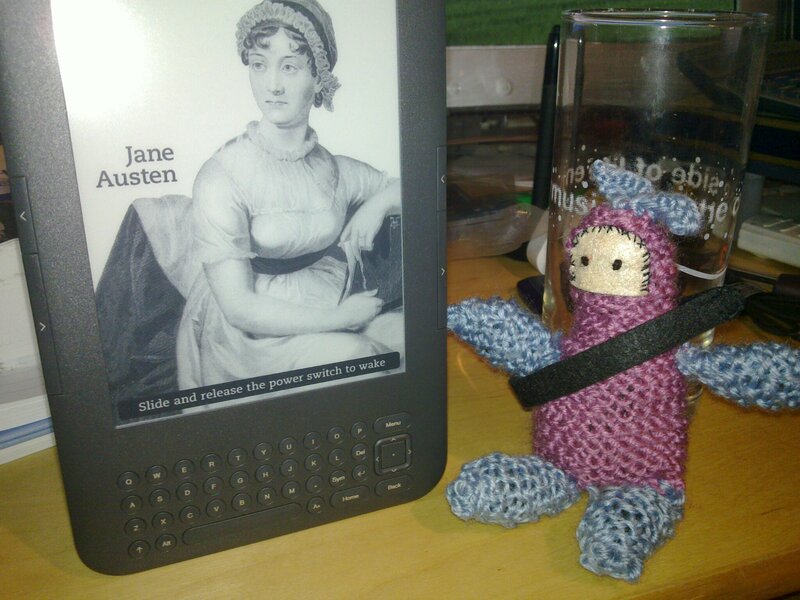 Eventually the Kindle will find a network (if enabled), and all is well again. At this point, downloads from the Archived Items section should be available.